Looking for the perfect Easter or weekend brunch? 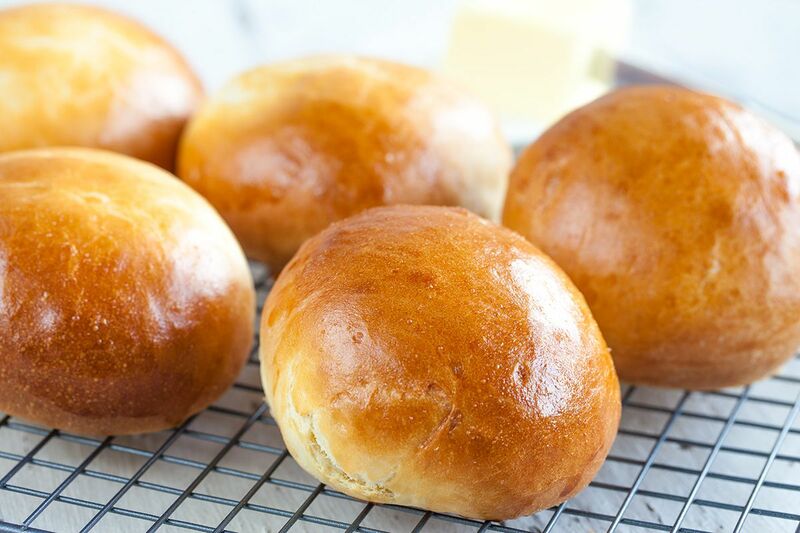 Home-made brioche is what you're looking for! Combine the warm milk, water, sugar and yeast. Mix together and wait until it’s gets foamy, this means the yeast is doing its job well. Combine the flour, butter and salt in the bowl of your stand mixer. If you decided to make the dough by hand, combine them on your work surface. 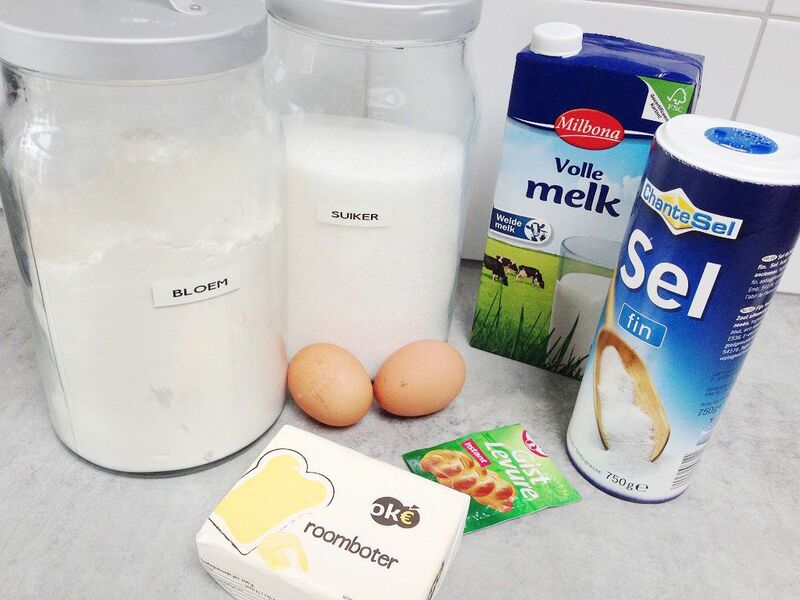 While mixing, start adding the yeast mixture and 1 egg. Keep on mixing until it forms a nice and smooth dough. This can take a few minutes so be patient. You got the dough right when it’s still a bit sticky and wet. Form a ball, transfer it back to the bowl and place a clean kitchen towel on top. Let the dough rise on a warm place until it has doubled in size. This mostly takes up to 1,5 hours, but if it’s still not doubled enough by then, just wait some more time. The rising of the dough is very important for your end result, so again, be patient. 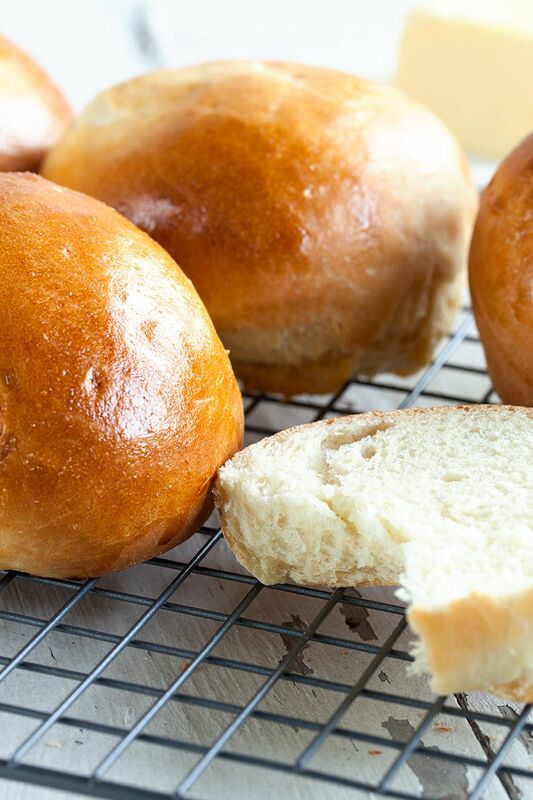 You can also choose to make one big home-made brioche instead of small round ones. You can then skip the dividing step and just place it in one big form, for example a cake form. Divide the dough into equal pieces using a dough scraper or a chef’s knife. Form small balls with your hands, rolling them gently over your work surface. Transfer to a baking sheet, keep some space between the little brioche balls because they will rise a little more. Place the clean kitchen towel on top again and let them rise for another half an hour, or again until doubled in size. Pre-heat your oven to 200 degrees celsius or 400 degrees fahrenheit. Make an egg wash by beating one egg with a little bit of water. 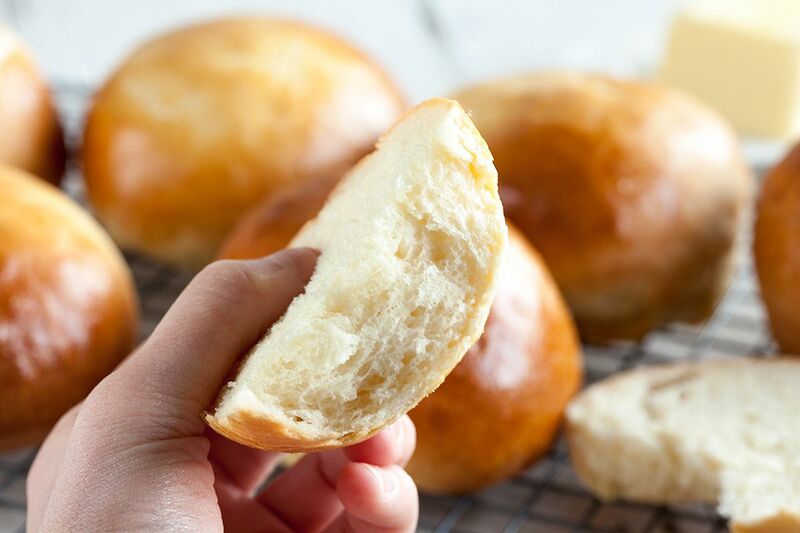 Using a silicone kitchen brush, gently brush each brioche. 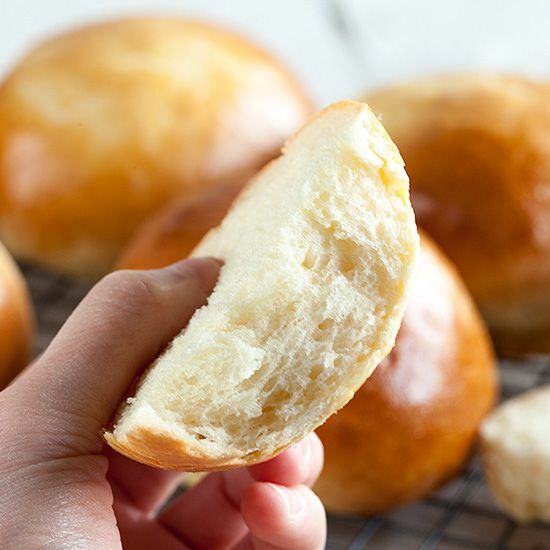 Bake the little brioches for 15 to 20 minutes, or until golden brown. Place them on a cooling rack, but it’s not necessary to let them cool completely. They taste the very best just smearing them with some salted butter. Enjoy! Successful brioche! I use to flavor it with lemon extract and sprinkle some extra sugar on top, have you already tried these extras?